The NGV needs to increase visitor numbers over the next 5 years. The gallery aims to attract new local visitors and encourage past visitors to return through improved digital offerings and new ways to experience art. The NGV adds a Digital Arts Section to its permanent collection. The centre piece is an Art Collection Wall based on an interactive touch screen. The wall displays artwork created by participants of an event series organised by NGV. At the events, participants are invited to express themselves in various ways and are recorded utilising audio, video and other technologies. Using especially developed software, these recordings are transformed into artwork and displayed on the Art Collection Wall. Through these events everyone can create a piece of art that becomes part of the NGV Digital Arts Section. Promoted via social media this will give existing as well as new customers an incentive to visit the NGV and contribute to a change in public perception of art: EVERYONE’S AN ARTIST. Everyone can join NGV’s event series and express themselves in sound, motion, emotion, rhythm, stillness, thoughts and words. ‘Self-expressions’ are recorded utilising audio, video, wearables and other technologies. Specially developed computer programs transform recordings into artworks. Every piece is displayed on the Art Collection Wall in the Digital Arts Section of NGV’s Permanent Collection. Users can use the search menu to select artwork by category, by artist or by time. They can interact directly with the images to select artwork, or 'scroll' through an alphabetical list to find an artist they are interested in. 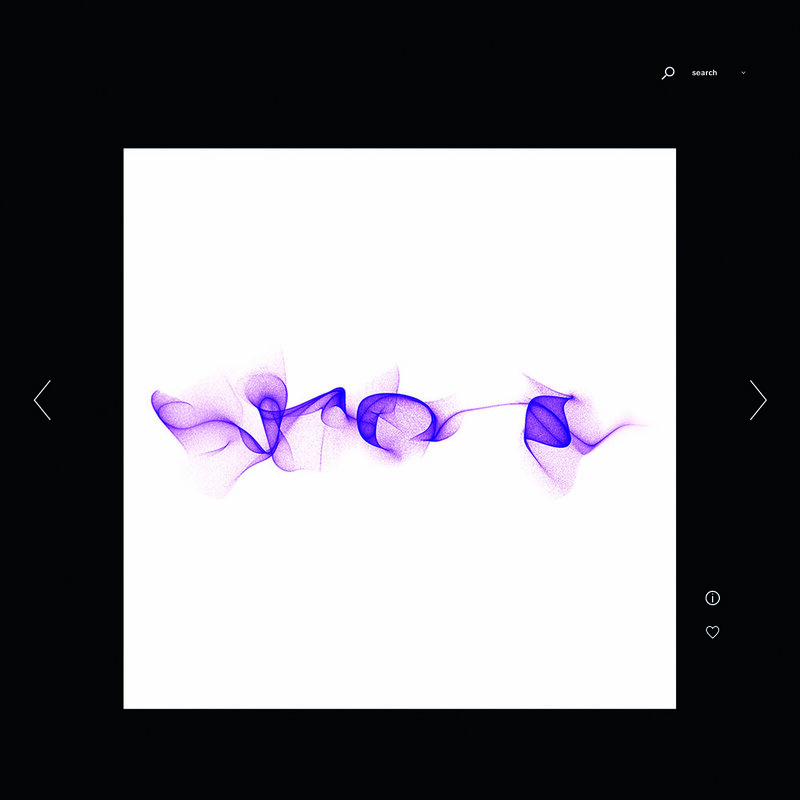 Swiping through all artwork in chronological order or selecting by year allows users to discover artwork by time. 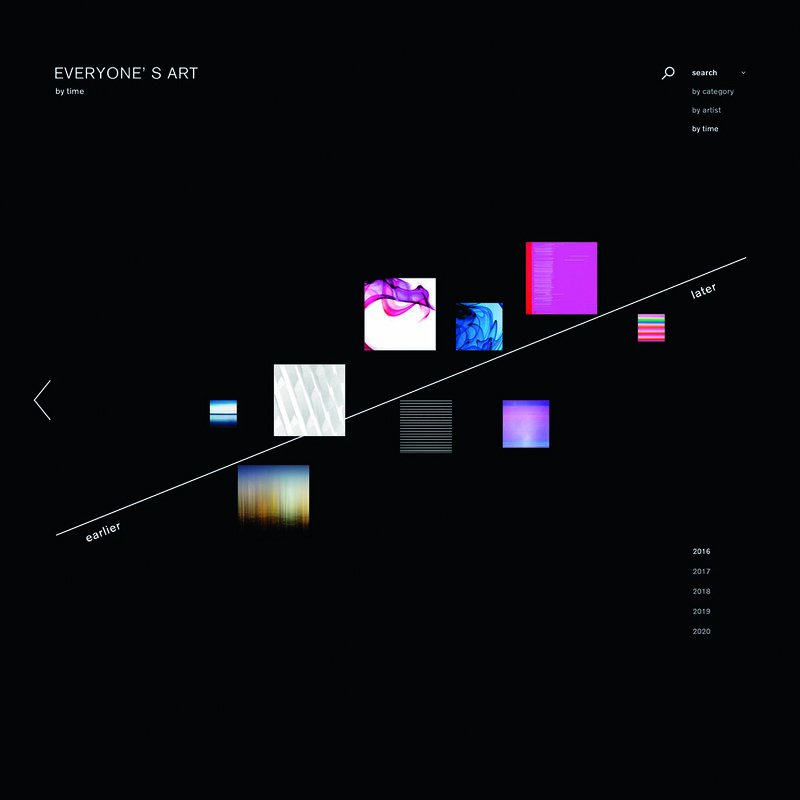 Expanding the selected category artwork offers the user more detail, as well as a category description. Full screen view allows the user to enjoy the artwork. Tapping on the info icon shows all information about project, artwork and artist and users can vote for the artwork. If you wish to learn more enjoy viewing the prototype or get in touch.